Keep your eyes peeled, and share this to your various social media platforms if you would. He’s been missing since Saturday, searches are turning up nothing, and police aren’t being much help. 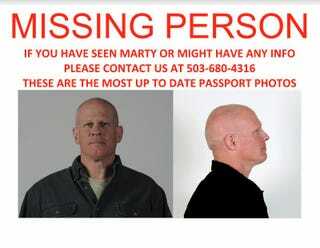 He was last seen and communicated with Saturday evening, and his car was found in Sellwood, roughly 3 miles from his residence with his cell phone laying in the driver’s floor. He often drove for Lyft, but they’re not being much help in giving records of who he may have had as passengers that night.